The cost of attending a professional graduate program can be a significant financial commitment. Students are encouraged to utilize personal resources and reduce expenses whenever possible. Apply for Outside Scholarships and borrow only the minimum amount necessary to meet your educational expenses. Be mindful of your budget and expenses. Don't let consumer debt get in your way. We recommend that prospective law students keep a written budget (in a notebook, a spreadsheet, or using an online app). By keeping track of all your expenses, you'll be in better control of how you spend your resources. As the old saying goes, "Live like a student while you are a student so you can live like a lawyer when you are a lawyer." New for 2018-2019: We're a MAX School! 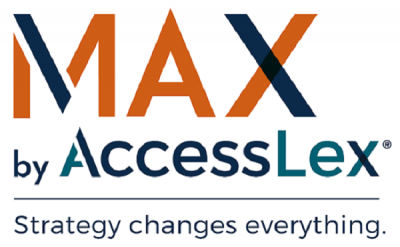 Syracuse University College of Law is pleased to announce that it is offering its first-year law students MAX by AccessLex®, a comprehensive personal finance program designed exclusively for law students and available at no cost to users. MAX was designed by AccessLex Institute, the largest nonprofit organization dedicated to access, affordability and the value of legal education. Utilizing a multi-faceted approach, MAX is built to drive the knowledge gain and behavior change essential to students’ making sound financial decisions while in school – and in life. The MAX approach combines webinars and in-person workshops, online programming and one-on-one counseling with fully accredited financial counselors to provide a framework for students to develop the skills vital to achieving long-lasting financial well-being. And, understanding law students’ busy schedules, AccessLex has built-in scholarship incentives to help MAX users maintain their motivation and momentum. In scholarship drawings throughout the upcoming 2018-2019 academic year, AccessLex will award more than $200,000 for students to apply toward next year’s law school tuition and other expenses. MAX by AccessLex is available to Syracuse Law’s first-year law students for the 2018- 2019 academic year. All students are also encouraged to attend in-person workshops and online webinars throughout the year. To view upcoming events, visit the "Upcoming Events" page or the Syracuse University College of Law TeamUp Calendar.